Kayla Desroches reports for Yellowstone Public Radio in Billings. She was born and raised in Brooklyn, New York, and stayed in the city for college, where she hosted a radio show that featured serialized dramas like the Shadow and Suspense. In her pathway to full employment, she interned at WNYC in New York City and KTOO in Juneau, Alaska. She then spent a few years on the island of Kodiak, Alaska, where she transitioned from reporter to news director before moving to Montana. A former writer for "The Tonight Show" uses comedy to speak about suicide and depression. YPR sat down with Frank King to talk with him about his experiences. Trigger Warning: Some people may find the content of this page disturbing. You look like the pinnacle of what someone who wants to be a working comedian wants to be, but you've struggled with depression, suicidal ideation, so why does someone who seems to have success - why do they struggle? A potential gravel mine on a plot of land in west Billings has nearby residents and business owners concerned. A construction company, FirstMark, is seeking permission to include a section of property zoned as agricultural in its plans for a gravel mine. The agricultural-zoned land makes up almost 40 acres of the roughly 117-acre property near Oscar’s Park and Yellowstone River. Residents and business owners in the region are concerned about consequences of running a mine in the area. Beef cattle born in other countries can still be labeled a product of the USA. Some Montana ranchers take issue with that. A seminar tonight in Lewistown will address current and past labeling regulations. A Grammy Award-winning contemporary music chamber ensemble will drive into Big Sky, Montana next week to perform. 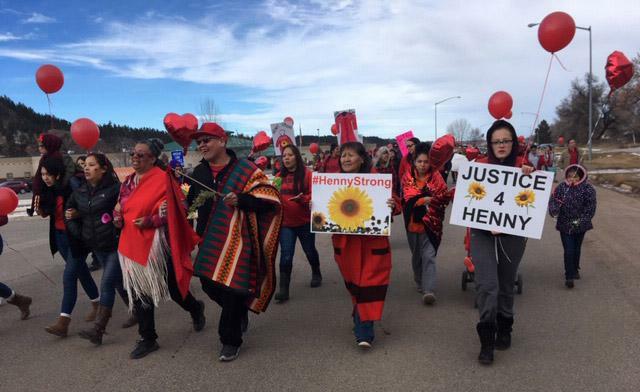 Just two weeks after a U.S. Senate hearing on missing and murdered indigenous women, the body of 14-year-old Henny Scott was found on the Northern Cheyenne reservation in southeastern Montana. Henny Scott's body was found late last month, about three weeks after her mother last spoke with her. On Saturday, her family held a funeral on the reservation.